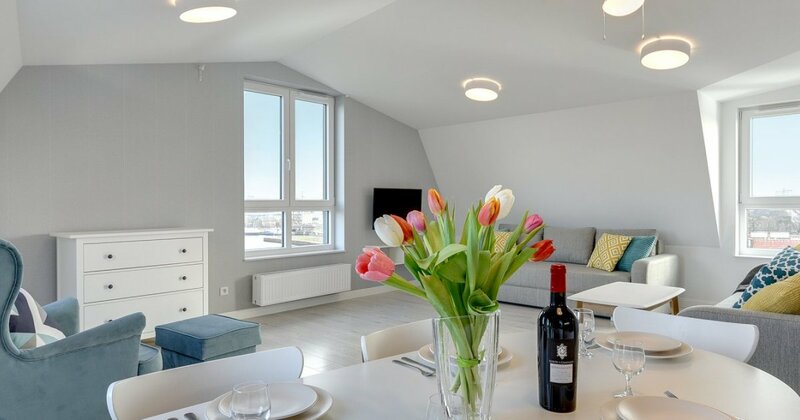 Family Suite - comfortable and spacious, designed for up to 6 people, light and modern stylization of the apartment allows comfortable rest for the whole family. Bright, fully equipped apartment designed to meet the everyday needs of our guests. The apartment consists of: a comfortable living area with a kitchenette, a dining table with chairs, a sofa with the option of sleeping, a bedroom part on the platform, a separate bedroom with a double bed and a bathroom with a toilet and a shower.